I remember the first time somebody asked me about my religious beliefs. I was about fourteen-years-old. For those of you who are past that age, think back to those awkward teenage years, when peer pressure was a daily issue, and the thoughts of those around you were constantly voiced; sometimes with detrimental effects and sometimes positive ones. A vociferous young boy, about a year older than me, asked what I was doing on the weekend and whether I would be interested in accompanying a group of teens to the movies. I was thrilled to say the least. Being rather shy meant that I didn't get invited out as often as I would have liked. "Meet us at the cinema. One o'clock on Saturday." When I heard him say this, my heart sank. I couldn't go out with them as I had hoped. It was the Sabbath and my parents would not have let me go out. I also had church to attend. How was I going to explain this to him? Through a stuttering, babbling mess of words I desperately tried to explain to this boy the reason I couldn't go out on Saturday. I told him it's because it's my day of worship. It is a day of rest when I go to church and spend time with my family. The explanation I rehearsed in my head, full of clarity and precision, did not work out as I had planned. The blank expression on my friend's face was a definite indication of that. Suffice it to say, my first encounter in explaining my beliefs to somebody was a bit of a shambles. But, it doesn't have to be this way for you. High School in itself is a minefield of challenges and trials. It doesn't help when you have the additional pressure of understanding your belief system and explaining it to friends, who may not always be the most considerate. The first step is to do some research. It is easy to become complacent about going to church every Saturday, attending the holy days, tithing on your allowance or pay, and so on and so forth, without actually knowing why you are doing these things. There is a wealth of knowledge that is just waiting to be tapped into. Why not start with your parents? Or other relatives, like your grandparents. 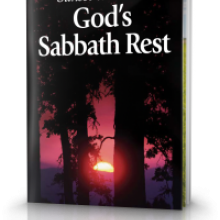 Ask them questions about the holy days, the Sabbath; whatever questions you feel need to be asked. It may also be interesting to learn from some of their own personal experiences. The next obvious thing to do is to read your Bible. It says in 2 Timothy 3:16 that the Bible is the source for all doctrine in the Church of God. What better place to get an understanding of what God wants us to do? In addition to reading your Bible on the Sabbath, it may also be good to allocate a time during the week when you can reflect and study the Word of God. It is understandable that life gets busy at times, but slowing down every now and again to spend time with God is a renewing and refreshing experience. UCG also has a lot of information available to young people on its website. Vertical Thought, for example, covers many topics relevant to the youth of today. You can find it at the following link, http://www.ucg.org/vertical-thought/. So, now that you've done your research, what next? It is always difficult to pre-empt a situation, especially if somebody puts you on the spot and asks you a lot of questions. Be reassured in knowing that God will help you in your time of need. It says in Hebrews 13:5 that He will "never leave you nor forsake you." Finally, it is crucial to find a balance in your approach. As humans, we tend to go from one extreme to the next. When somebody approaches you and genuinely wants to learn about your beliefs, don't completely avoid the situation but then don't go into a self-righteous sermon either. God is the balance you must seek. Take a deep breath and make sure you remember He is always there for you. Explaining your beliefs to someone may not always go to plan. They may not always be supportive. They may not even want to be friends with you anymore. When trials like that arise, just remember it is always beneficial to surround yourself with people of worth and good character. A good friend will always be tolerant of your beliefs. You also need to understand that you should not be ashamed of what you believe. Christ says, "Whoever is ashamed of Me and My words, of him the Son of Man will be ashamed when He comes in His own glory" (Luke 9:26). We need to set a good example and be lights of the world (Matthew 5:14). Stand up for what you believe in, be proud, and make a difference. As it says in 1 Timothy 4:12, "Let no one despise their youth, but be an example to the believers in word, conduct, in love, in spirit, in faith, in purity." Why did God command a day of rest to begin with? Did He have a purpose for it, and, if so, what is that purpose? 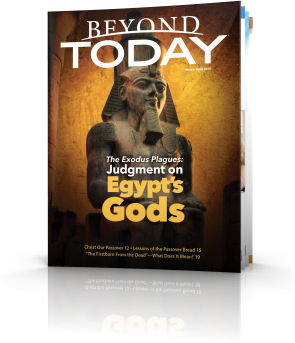 Is the Sabbath relevant at all for humankind today? Does it make sense in today's world? The questions go on and on. 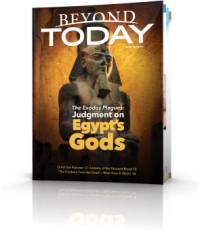 Why should there be such confusion about one of the 10 basic guiding principles and laws God gave mankind? There are answers to these questions, and you don't have to look far to discover them. They can be found in the Bible. 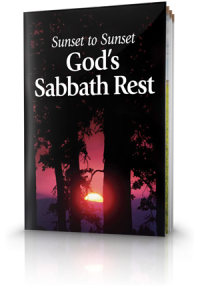 Join us for a journey through the Bible to discover God's Sabbath Rest. In this booklet we will answer these basic questions. Well done Chontelle. Thank you for sharing your personal experience with your spiritual family.